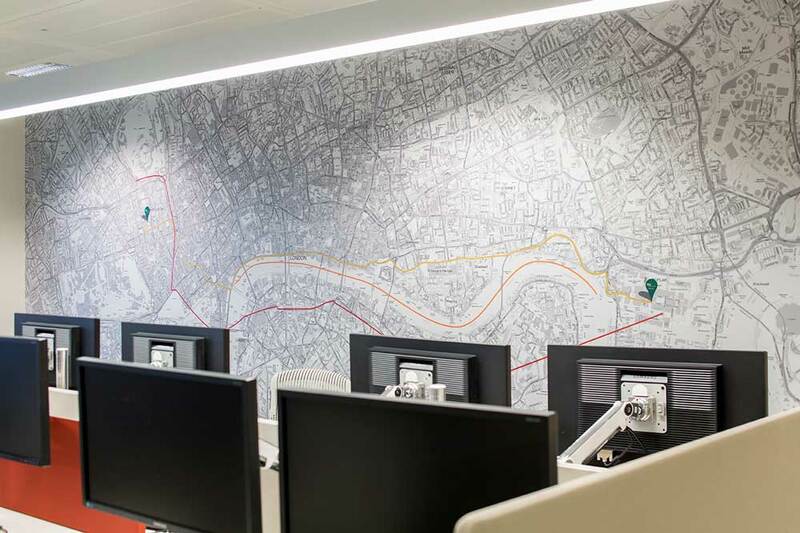 This leading international consultancy firm was looking to establish a London hub for their Data Research Business function. 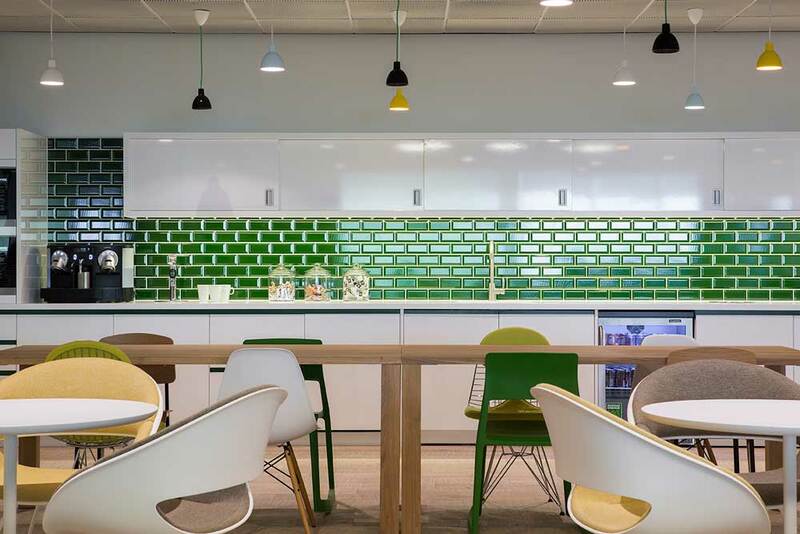 As an expanding global facility, with a focus on recruiting and attracting a specific talent base, it was particularly important that the space was designed to cater for the specific needs of the team. 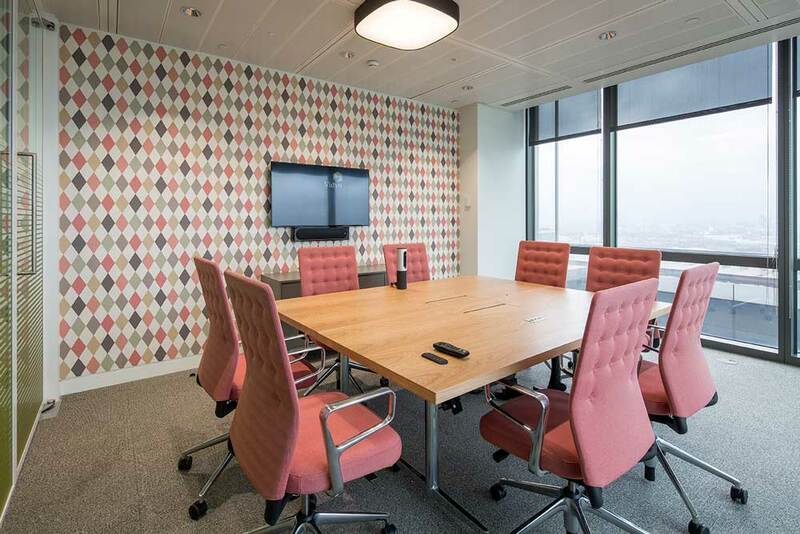 The office is located on the upper floors of one of the many sky-scrapers in Canary Wharf and benefits from spectacular views towards the City of London. 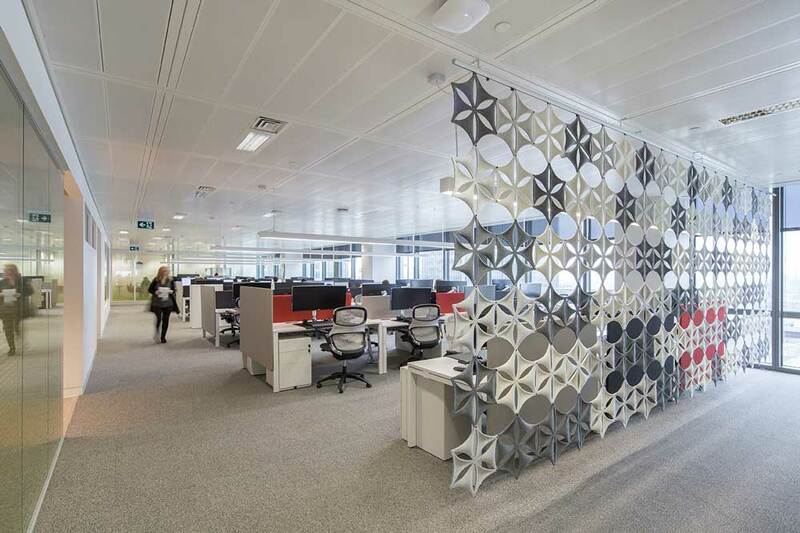 An important aspect for designing the 16,735 sq ft space was to maximise the views, for the benefit of all staff who are largely desk based and focused on concentrated work; ensuring clear visibility and transparency across the space. 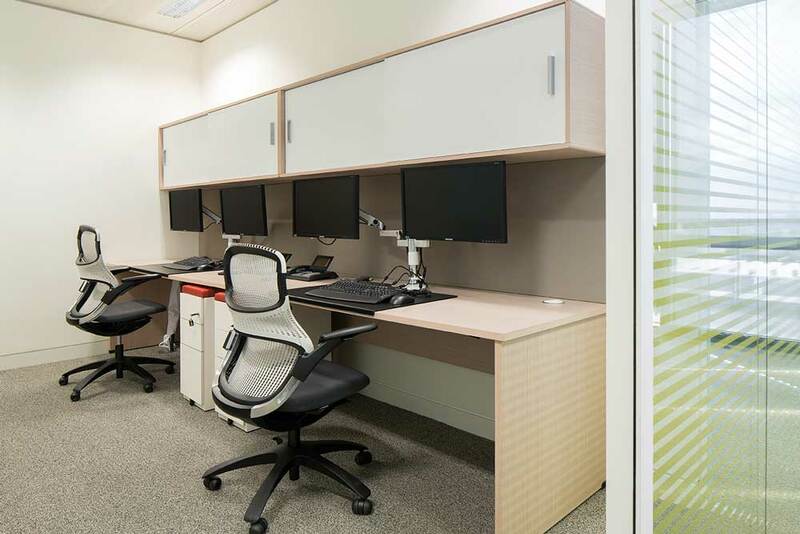 Providing a variety of spaces that could be used for quiet working, collaboration, video conferencing and socialisation; and maximising both the positioning and flexibility of these support spaces was essential. 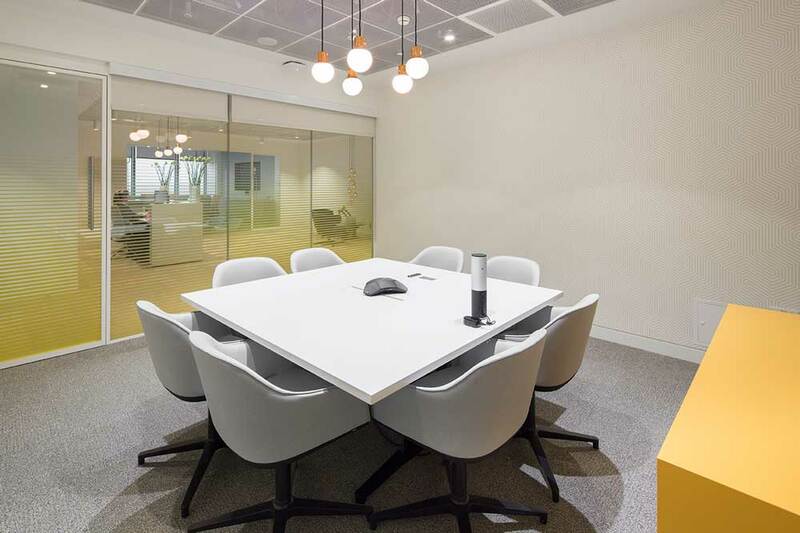 The brief additionally established the need for a high level of acoustic privacy and the seamless integration of easy-to-use technology to support the regular use of video and audio conferencing. 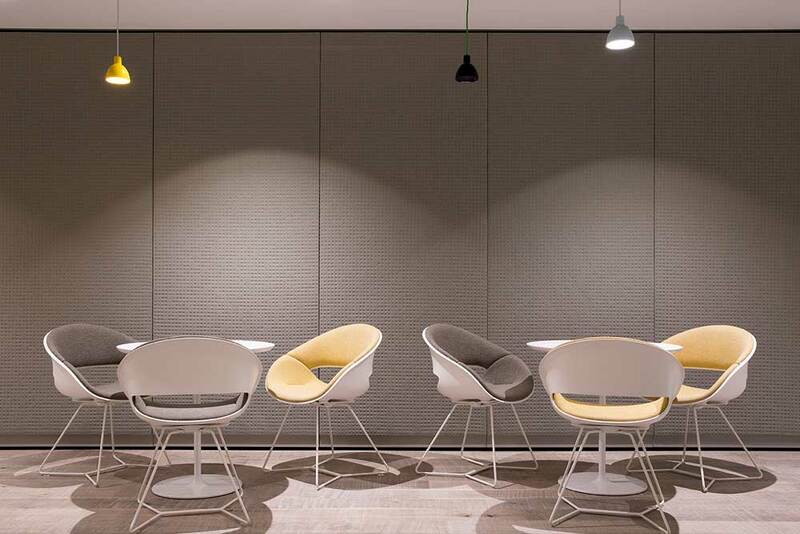 Create’s design philosophy focused on optimising the use of the deep core space to create a support zone including; a flexible work-lounge and meeting rooms of varying sizes. 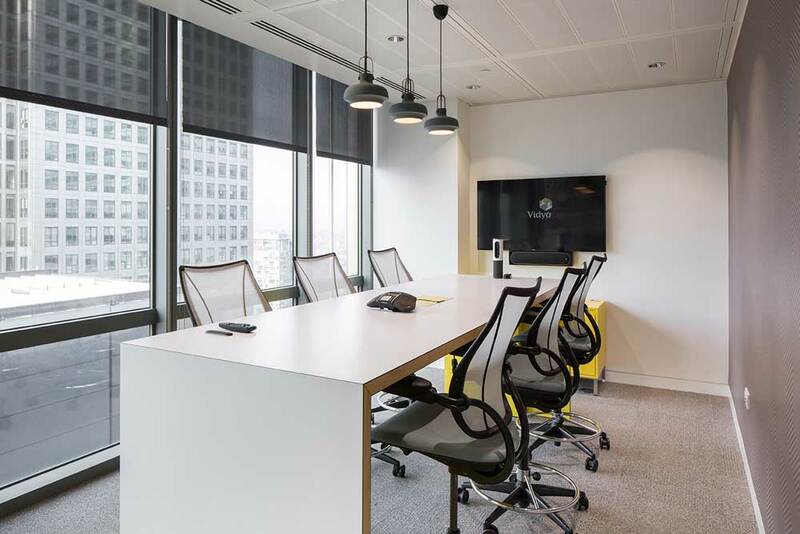 The use of finishes and furniture in these spaces were purposely selected to reflect a warm and welcoming aesthetic; the corridors which link the support spaces together, cleverly frame the stunning views and help with orientation. 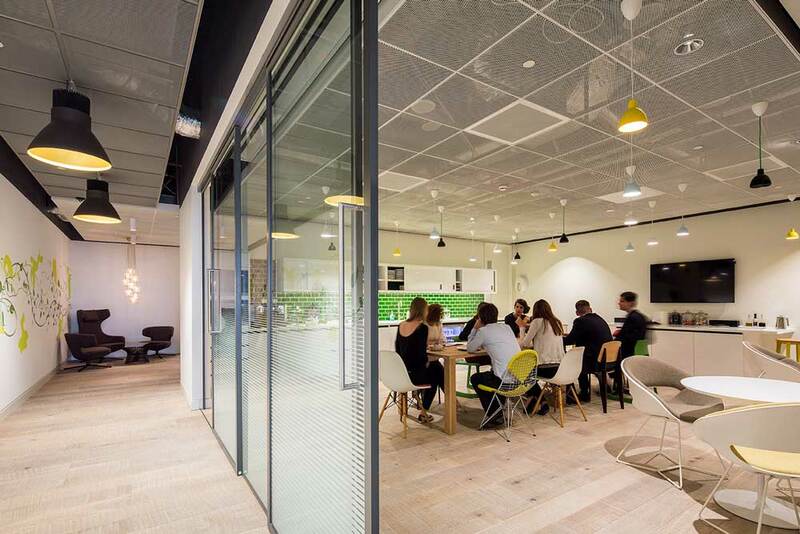 The area adjacent to the facade with plenty of natural light was retained as the open plan workspace supported by private offices and team rooms at either end. 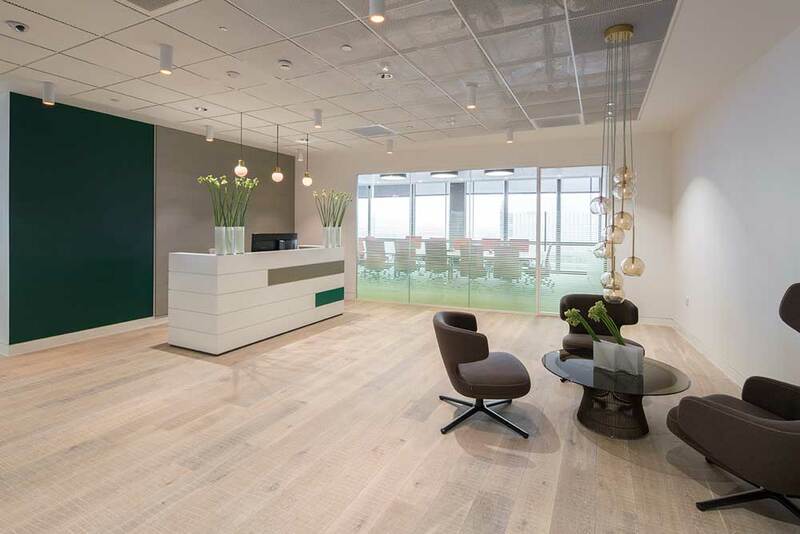 The reception was relocated to a location with natural light to provide a more welcoming feel for staff and visitors. 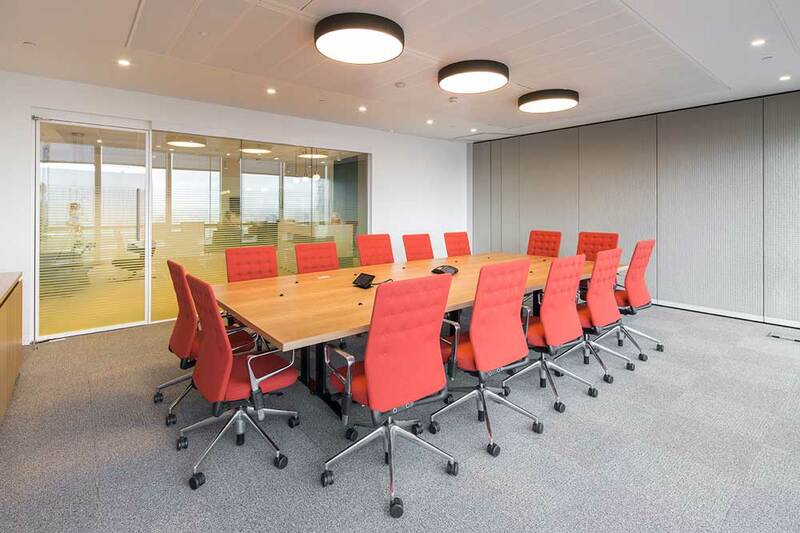 The large meeting spaces have been designed to incorporate flexibility and allow for different meeting styles. 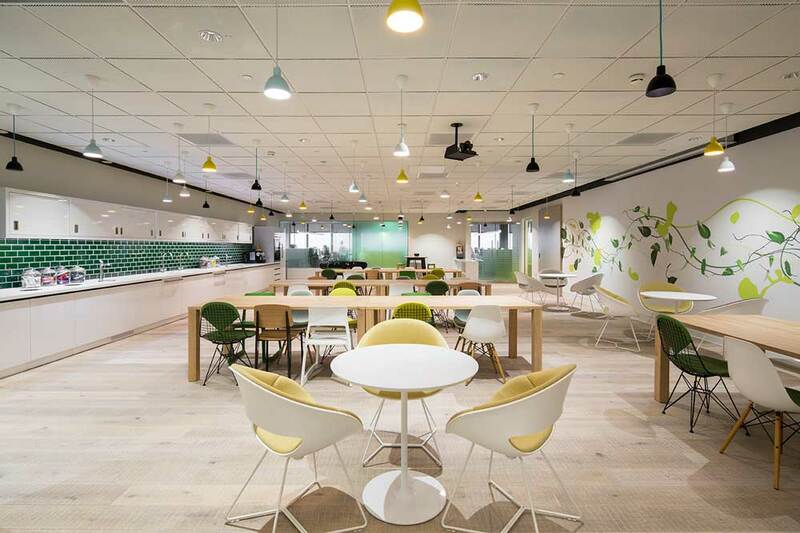 A large pantry style café has made good use of the darker space between the building core and can accommodate large team lunches as well as company meetings, discussions and team focused events. 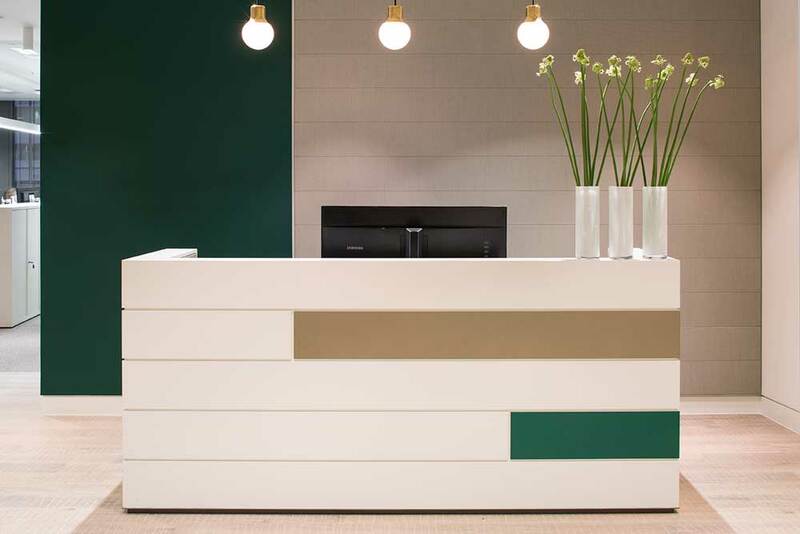 Create designed a colour palette using neutral tones with accents of the brand colours. A large architectural feature ‘window’ wall separates the support and working zones. The use of a mesh ceiling and timber floor provide texture, while feature lighting adds to the ambience culminating in an environment which is light, airy and dynamic.